Simple, extensible site built for excellent three-piece rock and roll combo. 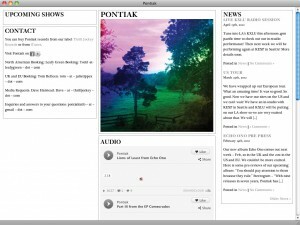 Back end powered by WordPress allows members of the band to change the look to match their current record. Version 3 now modularized to allow them to rearrange layout as necessary.